The vessel is made from abaca pulp and dyed with pigments and layering of pastels. 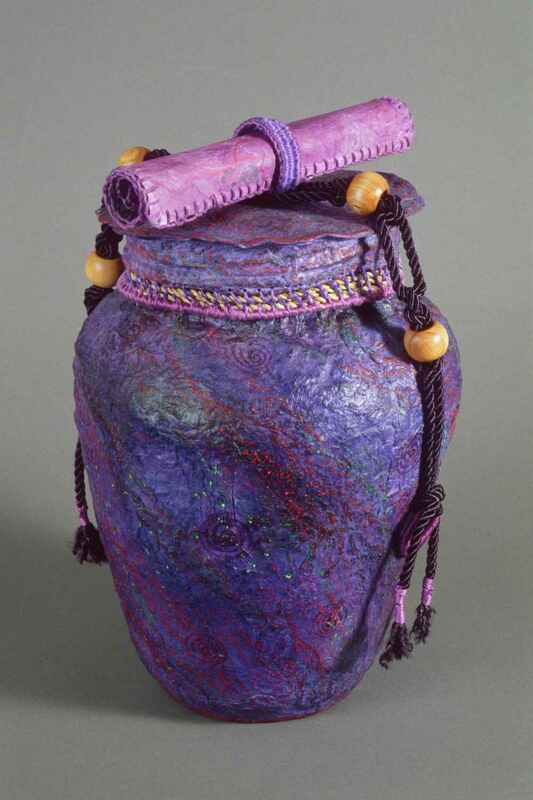 The lid has a woven rim from cane and colored threads. The scroll is handmade paper and may be used to write a poem, a memory, a thought, a name or a prayer. The lid is fastened down with braid and tied to wooden loops .